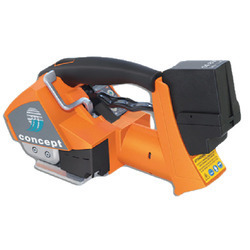 Our product range includes a wide range of battery powered strapping machine, battery operated pet strapping machine, battery operated strapping tool, battery powered poly strapping tools, poly strapping tools and polyester strapping tools. Length 315mm / 12. 4"
Width 315mm / 12. 4"
Height 315mm / 12. 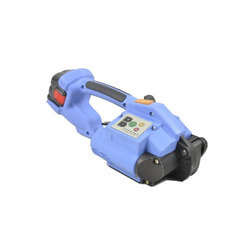 4"
We are counted amongst as the leading manufacturer, exporter, importer, trader and supplier of high quality Battery Powered Strapping Machine. This strapping machine is developed by using top grade material and advanced techniques in compliance with international quality standards. Our provided strapping machine is acclaimed for its durability and excellent finish. In addition, this strapping machine can be availed from us at market prices. 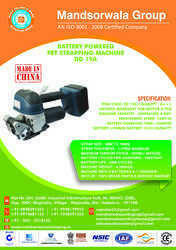 With the help of our professionals, we are engaged in offering supreme quality Battery Operated Pet Strapping Machine. Offered strapping machine is manufactured from the leading techniques and high grade material in accordance with the set norms. This strapping machine is use for heavy duty, round or irregular packaging. Customers can avail this strapping machine from us in different specifications within a given time frame. Length 315 mm / 12. 4"
315 mm / 12. 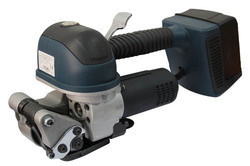 4"
From past many years, we are engaged in offering excellent quality Battery Operated Strapping Tool. 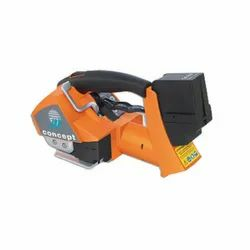 We are an unparalleled name, engaged in offering premium quality of Battery Powered Poly Strapping Tools. The given strapping tools are offered in various customized options as per the market preferences. Offered strapping tools are manufactured by utilizing finest material, powered by guidance our experts. Moreover, we offer these strapping tools by after checking on numerous parameters so as to deliver a perfect range to customers. 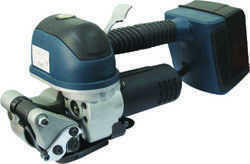 With enriched industrial experience and knowledge, we are providing an excellent range of ITA 21 Strapping Machine.